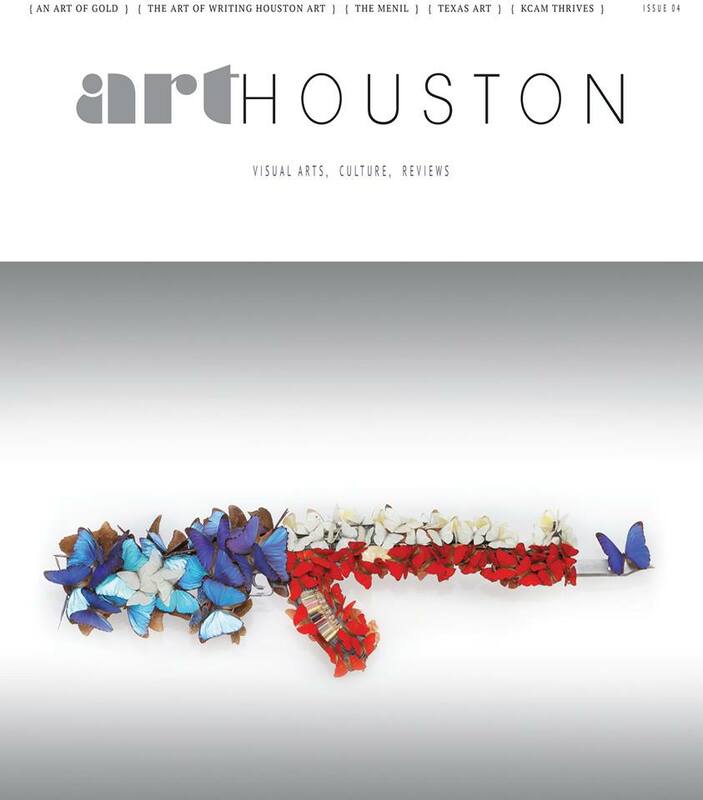 Our Be the Peace-Be the Hope program was recently featured in the most recent issue of ArtHouston Magazine! To read more about this powerful Educational and Healing arts program, please check out the “HopeArt” article (pages 68-72 in print) or click here. 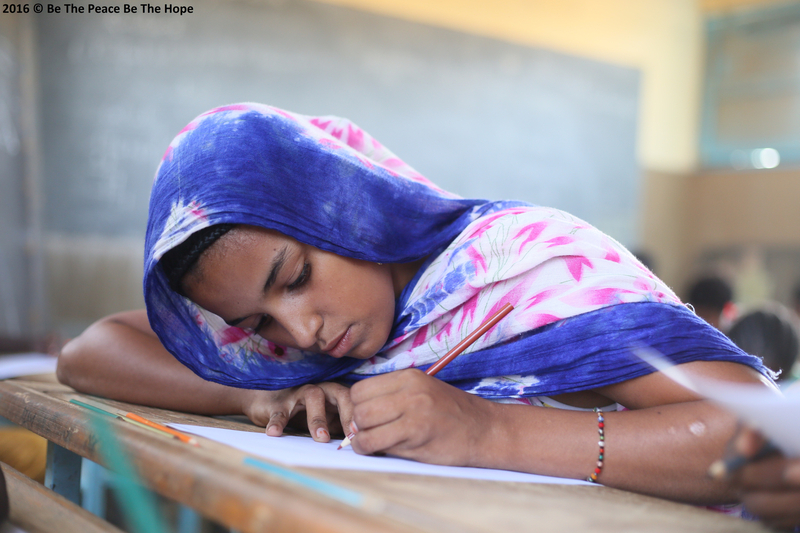 Let’s continue this journey of Hope together by supporting the much needed healing arts workshops that we are implementing for refugee children in Houston schools. A huge thank you to everybody and every organization who contribute to help children whose lives have been shattered. 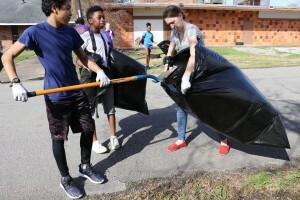 To honor and celebrate Martin Luther King Jr. Day, the students from the program From A Space to A Place and Hug the Hood OST helped clean their community. 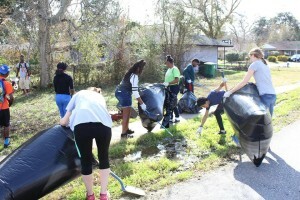 Our Texan French Alliance for the Arts team was excited to help and partipate in the Big Cleaning day! Thanks to Agape Development and all the volunteers who made this day sucessful by improving and making the community more beautiful and welcoming. 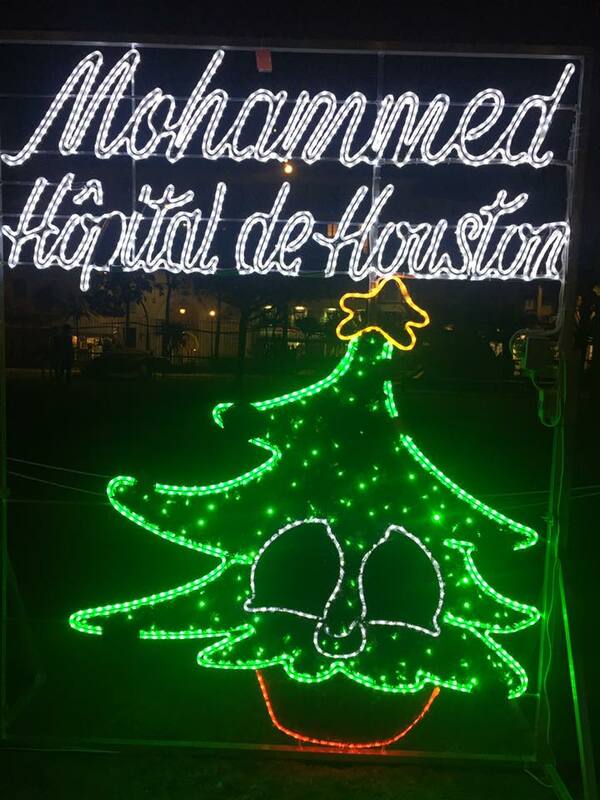 Following the invitation of the city of Nice , Fondation Lenval​ , Les Blouses Roses – Nice to participate in a contest to create Christmas decoration for the city of Nice , our team organized a workshop with the Texas Children’s Hospital‘s young patients. 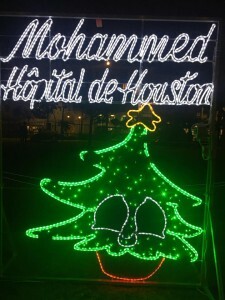 The children proposed several drawings inspired by the Christmas season and Mohammed’s drawing got selected to be transformed into a large illumination. This a beautiful way to celebrate the friendship between United States and France and bring more hope during the Christmas season . The Texan-French Alliance for the Arts​ is proud to partner with the Houston-Nice Sister City Committee – Jumelage de Nice et Houston, Fondation Lenval, Les Blouses Roses – Nice , Texas Children’s Hospital. 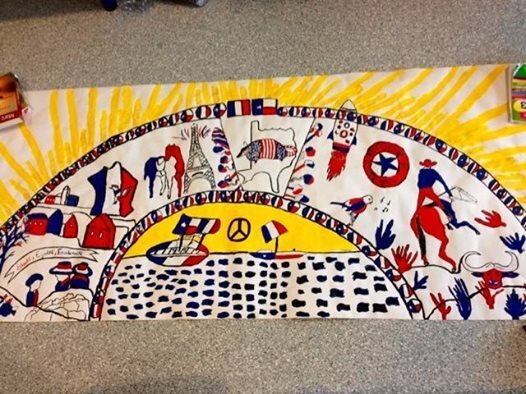 The Texan-French Alliance for the Arts team is partnering in a collaborative project with Eyeful Art Murals and Designs, The WIDE School, the kids from Fondation Lenval in the City of Nice, Houston-Nice Sister City Committee – Jumelage de Nice et Houston and the International Relations Department from Mayor’s office in Nice. 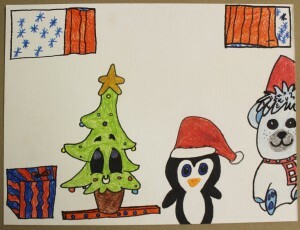 In response to the work created by some of the Texas Children’s Hospital young patients, the children in Nice have created a panel showing our Texan life and scenery. A large mural inspired by the art works of the children, will be created by Sebastien Mrd Boileau and will beautify the area, and inspire hope and celebrate the creative spirit and friendship between two countries: France and the U.S. 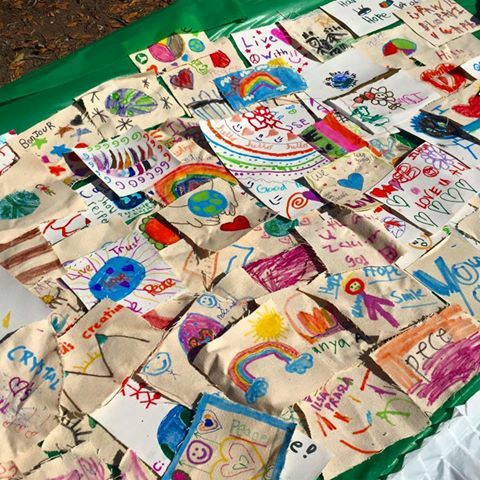 Exciting news: join us at the Aga Khan Foundation – Walk | iRun in Sam Houston Park , we will showcase a Replica of the Be The Peace Be The Hope Tent this Saturday 12th November from 10am-3pm. Come by the hospitality tent to have more informations about our Educational and Healing Art Program and let’s celebrate together Citizenship Month ! Join us and 7000 participants to engage with the community and promote awareness of one of the world’s leading poverty solutions networks. 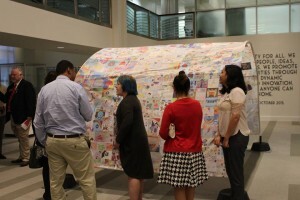 The official unveiling of the “Be the Peace – Be the Hope” Educational and Community Art Exhibition took place on Wednesday at Houston City Hall. 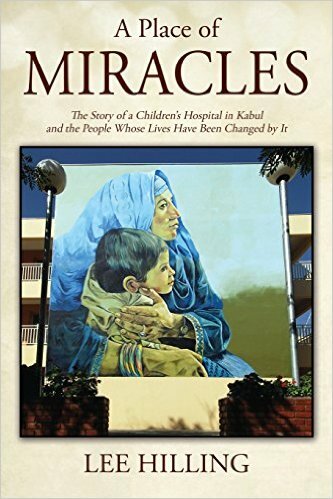 We were are excited to share the images, videos, artwork and stories that have been collected throughout this incredible journey of Hope. Many thanks for all the people who came to this special event! Texan-French Alliance for the Arts, IEDA Relief, Literacy Through Photography at FotoFest, Volunteer Houston, Houston Independent School District, Cypress-Fairbanks Independent School District, The WIDE School, Harris County Department of Education, Houston Public Library, Agape Development, MD Anderson Family YMCA , United Nations Association of the United States of America, French Consulate in Houston, Taiwanese Heritage Society of Houston, Houston-Nice Sister City Committee – Jumelage de Nice et Houston Azerbaijan Center , AmeriCorps VISTA, Air France, The Center for the Healing Arts and Sciences. 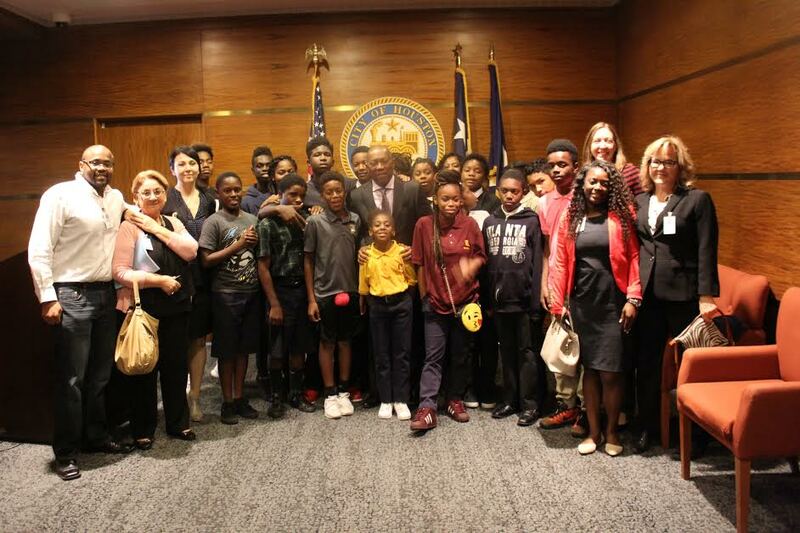 The students of the OST Youth Council had the amazing opportunity to interview Mayor Sylvester Turner at Houston City Hall last Wednesday! The Youth Council has participated in our From a Space to a Place program since September 2015, in partnership with Agape Development and SEHTA. 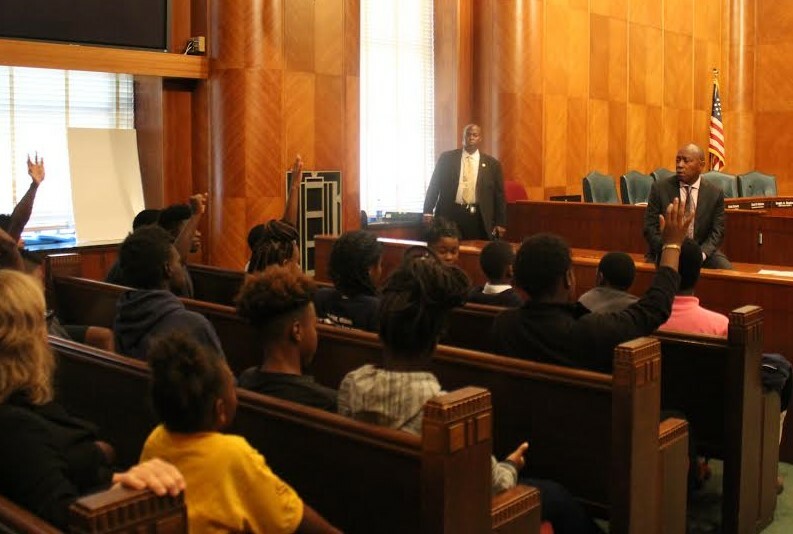 The students asked the Mayor questions about the changes he has seen in the Houston community throughout his life, how he grew up, and the steps that he took to get to where he is now. The teens really enjoyed their visit with the Mayor and were even invited into his office for a tour! Thank you to everyone who helped make this special visit with Mayor Turner a reality, especially Nike Luqman and Lina Corinth! 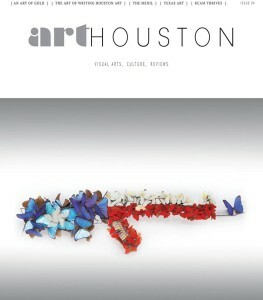 Have you picked up the newest copy of ArtHouston Magazine? Our Open The Door Veterans’ Pilot Program for military veterans in San Antonio was recently featured in issue #3 of ArtHouston! To read more about this powerful healing arts program, please check out the “Vet Art” article (page 75 online or pages 72-73 in print). Thank you to all of our participating veterans, artists, therapists, and community members, and thank you to John Bernhard for featuring us in your great magazine! 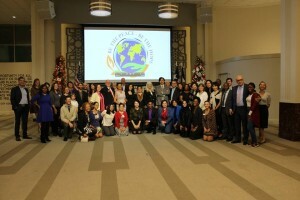 Partners for this program include the City of San Antonio, the French Consulate in Houston, the Southwest School of Art, the AMEDD Museum Foundation, JBSA-Fort Sam Houston, Cafe Commerce San Antonio, Jerry’s Artarama of San Antonio, The University of Texas at San Antonio, and Art To The Third Power.